Born Andrew Warhola on August 6, 1928, in the neighborhood of Oakland in Pittsburgh, Pennsylvania, Andy Warhol’s parents were Slovakian immigrants. His father, Ondrej Warhola, was a construction worker, while his mother, Julia Warhola, was an embroiderer. They were devout Byzantine Catholics who attended mass regularly, and maintained much of their Slovakian culture and heritage while living in one of Pittsburgh’s Eastern European ethnic enclaves. When he graduated from college with his Bachelor of Fine Arts degree in 1949, Warhol moved to New York City to pursue a career as a commercial artist. It was also at this time that he dropped the “a” at the end of his last name to become Andy Warhol. He landed a job with Glamour magazine in September, and went on to become one of the most successful commercial artists of the 1950s. He won frequent awards for his uniquely whimsical style, using his own blotted line technique and rubber stamps to create his drawings. In the late 1950s, Warhol began devoting more attention to painting, and in 1961, he debuted the concept of “pop art”—paintings that focused on mass-produced commercial goods. In 1962, he exhibited the now-iconic paintings of Campbell’s soup cans. These small canvas works of everyday consumer products created a major stir in the art world, bringing both Warhol and pop art into the national spotlight for the first time. Warhol’s other famous pop paintings depicted Coca-cola bottles, vacuum cleaners and hamburgers. He also painted celebrity portraits in vivid and garish colors; his most famous subjects include Marilyn Monroe, Elizabeth Taylor, Mick Jagger and Mao Zedong. As these portraits gained fame and notoriety, Warhol began to receive hundreds of commissions for portraits from socialites and celebrities. His portrait ” Eight Elvises” eventually resold for $100 million in 2008, making it one of the most valuable paintings in world history. 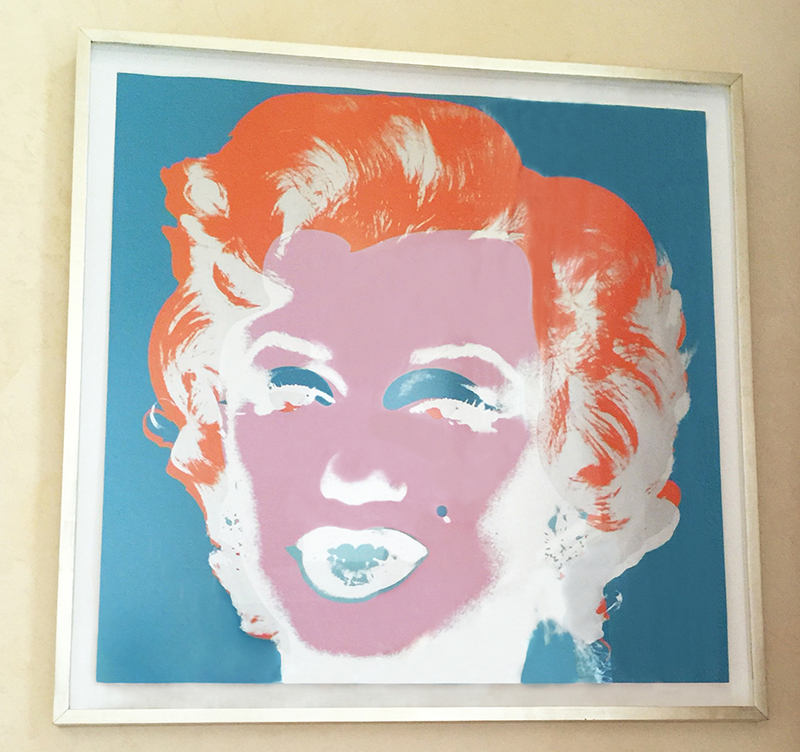 In the 1970s, Warhol continued to explore other forms of media. He published such books as The Philosophy of Andy Warhol (From A to B and Back Again) and Exposures. Warhol also experimented extensively with video art, producing more than 60 films during his career. Some of his most famous films include Sleep, which depicts poet John Giorno sleeping for six hours, and Eat, which shows a man eating a mushroom for 45 minutes. Warhol also worked in sculpture and photography, and in the 1980s, he moved into television, hosting Andy Warhol’s TV and Andy Warhol’s Fifteen Minutes on MTV.